The U.S. is once again increasing its intelligence-sharing with Saudi Arabia to help the kingdom expand its air campaign in Yemen, U.S. officials told Reuters on Friday. The Saudi military began its aerial assault on Yemen in late March in coordination with 10 other Gulf Arab allies, as well as the U.S., when civil unrest between the Yemeni government and Houthi rebels threatened to boil over. Weeks of relentless bombings and air strikes have contributed to what the Red Cross called a “catastrophic” situation in Yemen, with civilian deaths already in the hundreds and food and water shortages worsening. The U.S. has backed the Saudi air strikes in Yemen since they began, with the White House authorizing “logistical and intelligence support” the day after the operation was confirmed from the ground in Sana’a. 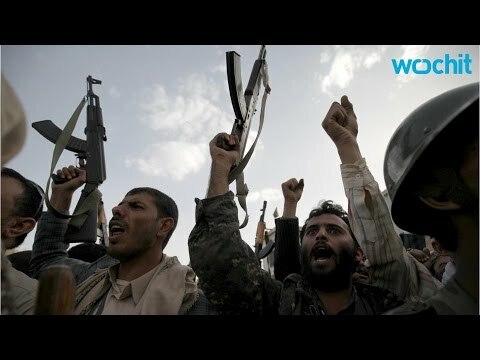 That move came despite warnings from international aid groups that the operation, which is also supported by Egypt, Morocco, Jordan, Sudan, Kuwait, the United Arab Emirates, Qatar, and Bahrain, has brought war to “every street and every corner” in Yemen. The White House and the Pentagon would not comment on the specifics of the increased intelligence-sharing on Friday, Reuters reports. In addition to intelligence-sharing, the U.S. also began daily air-to-air refueling flights of Saudi and U.A.E. fighter jets. As Common Dreams reported on Friday, the coalition is also blocking nearly all food and medical aid from entering Yemen.